Well, it's just meteorological spring and our snow is not yet melted but still it's time to celebrate. We have this beautiful tradition of celebrated spring on 1 March. 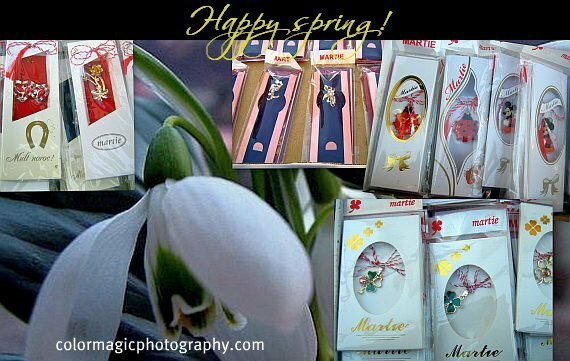 I've already written about it on all my blogs and I don't want to be boring but I must offer everyone our traditional spring gift, called Martisor. Though it's a virtual gift, choose the one you like and consider, it's real. It brings luck and good health, believe me. This little gift goes together with early spring flowers like snowdrops, hyacinths and the very expensive (at this time) tulips. 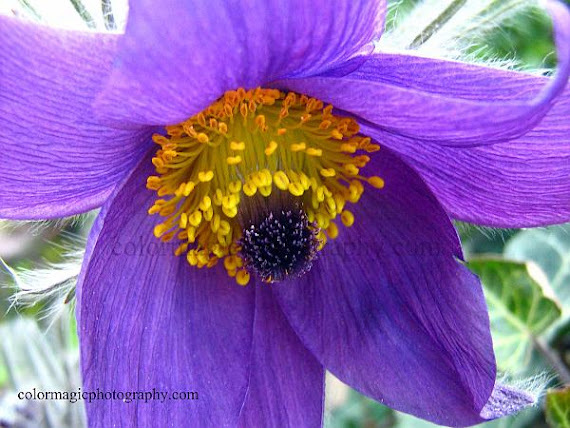 I'll break the rules today and will offer you one of my favorite wildflowers: the Pasqueflower or Meadow anemone. I find this hairy flower sooo, so special. Now, it's your turn, let's see what spring gifts do you have for me! Our winter is not over yet, but we have early camellia blooms in the botanical gardens. I have not seen this wildflower anemone in our wildflower fields. Hope to see them here when spring comes. Our Autumn is now rolling in with lots of misty, windy grey skies and rain! But there are some flowers that linger on! Gorgeous photo! Linda flor!!! Nosso verão está para acabar, e começa o outono! Mas é não temos neve aqui na minha região. It's a beauty! I'm in the tropic and flowers are always blooming all year long. I have never noticed a Meadow anemone before but I will be looking for them now, that is so beautiful. All I have seen here so far are a few daffodil shoots. Looks like it's going to be awhile before we get our spring flowers. I love the idea of spring on March 1. I did see a couple of pink trees starting and to me, that's the real beginning of spring. Thank you for the gift, Maia! Same to you.